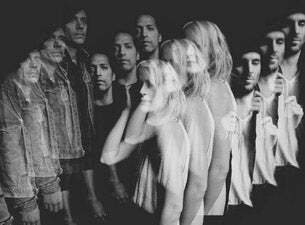 Metric is an indie rock/new wave band formed in 1998 in Toronto, Canada. The band members are Emily Haines (vocals, synths, guitar, tambourine), James Shaw (guitar, synths, theremin, backing vocals), Josh Winstead (bass, synths, backing vocals) and Joules Scott-Key (drums). The band name was inspired after a sound called "Metric" that was programmed by Shaw on his keyboard. They were based at various times at Toronto, Montreal, London, NYC and LA. Read more about Metric on Last.fm. Here are some industry leading presale databases we recommend you use if you're in need of a Metric presale password to buy early tickets to see Metric performing live. Getting your tickets early is a great way to get great seating and secure your tickets before they sell out during the public onsale.